In the event of a fire or other natural disaster, employees should be able to quickly understand the steps to take to protect lives and your property. It’s not enough to simply post a few steps such as “Call 911”; instead, you need to schedule regular training with your team and ensure that they fully understand their responsibilities and how to stay safe. It is a good idea to have separate procedures in place for working and non-working hours, as well as a way to report the situation up the ladder to managers and senior leadership. These procedures will allow your team to feel a level of comfort and help them stay in control during a disaster. People are much more confident in the face of an unknown challenge if they are able to follow a set of pre-defined steps that will help them through the emergency. Data security and protection are critical and having offsite access to your digital assets is something that all businesses should consider. You may currently be backing up your information on a nightly basis on a hard drive within your office. While this is a good level of security for a local server crash, a fire or flood could quickly devastate all of your backups and make them unusable. There are many options available for cloud-based backups that you can explore for a reasonable price-point. Create a way to notify employees, customers and vendors that you are experiencing difficulties. This may be a pre-written email that can quickly go out to various contact groups or a blurb for radio, local television and social media. Keeping people information stops them from being surprised — and few people like surprises! Maintaining a steady flow of information during an emergency situation often helps people be more understanding of the challenges that you are facing and more likely to be engaged in helping you rebuild. Your insurance agent is likely to be your first phone call once you have everyone safe and your location secure. Keep your insurance agent’s contact information close, along with details on your policy so you can be mentally prepared for any out-of-pocket costs that you are likely to incur. Your agent may also assist you with the additional coverage you may not realize existed such as shelter assistance and more. They are also likely to have vetted restoration companies available and can recommend one who would be a solid option for getting your business back to full working condition quickly. No one can ever be fully prepared for an emergency. However, these steps will help you feel more in control of the situation and rapidly restore your business operations. Your customers and staff will thank you! Want to learn more about staying safe in the event of a fire? 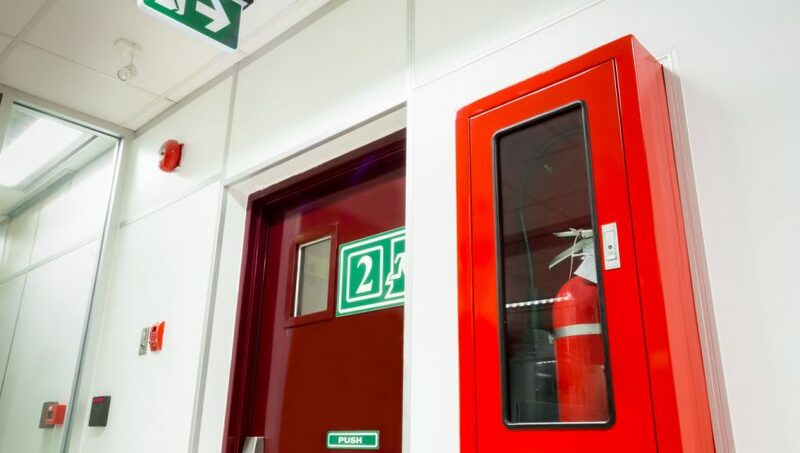 The professionals at AAA Fire Protection will work with you to create a comprehensive support plan for your business. Contact us today at 855-356-0020 or fill out our quick online contact form.